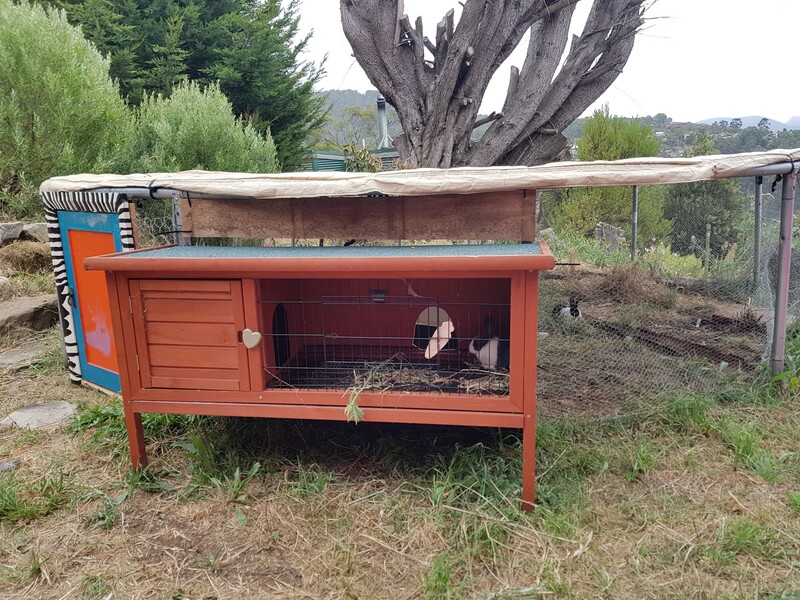 After many months of asking and negotiating, Frida Maria convinced us to welcome two female rabbits into our home. The things us parents do. 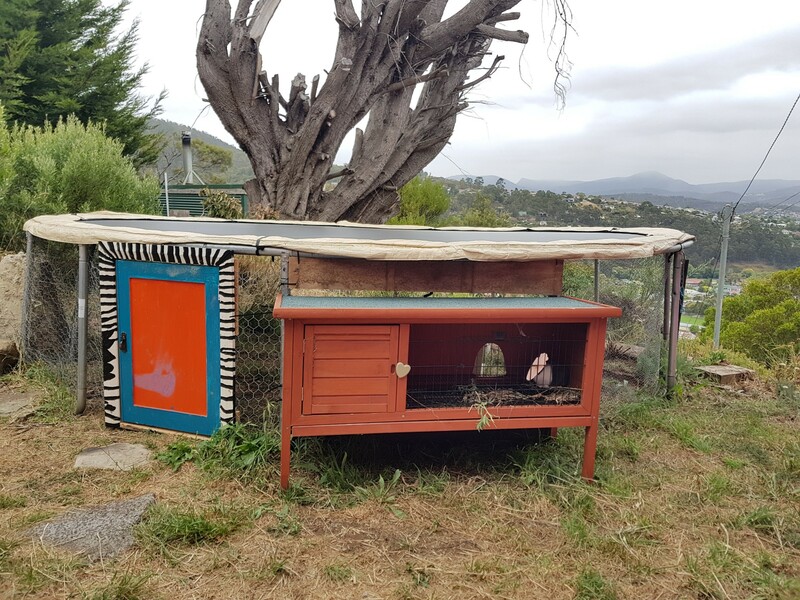 Rabbits have reeked havoc on the Australian landscape. 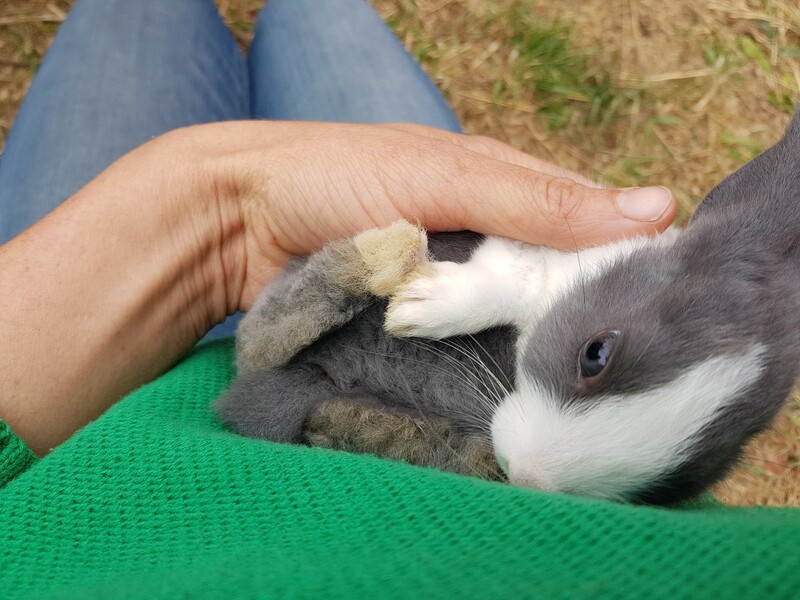 I remember visiting relative’s farms in western Queensland as a young kid devastated by rabbits, so there’s something in me that doesn’t want anything to do with fostering them. And if I’m honest, I haven’t fully resolved that. But I have resolved that a small person taking responsibility for animal love and care is a very good thing. 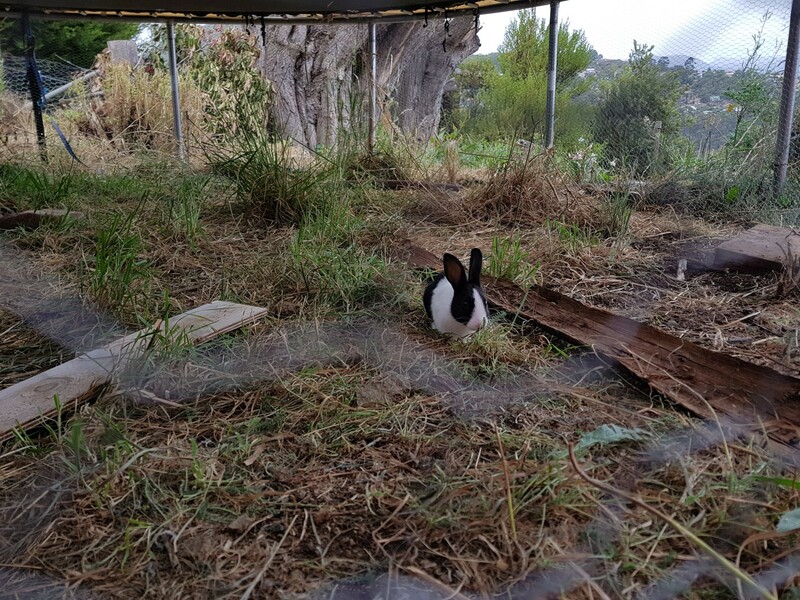 Also, Grace and Sophie (the rabbits) are mostly located under the giant trampoline we’re looking after for a friend (for multiple years it seems), so they’re doing a fab job of managing the grass that we couldn’t access there. They’re working for us, while going about their own business. Doesn’t the jumping up and down on the trampoline scare them? Yes and no. They appear to be incredibly ok with it. 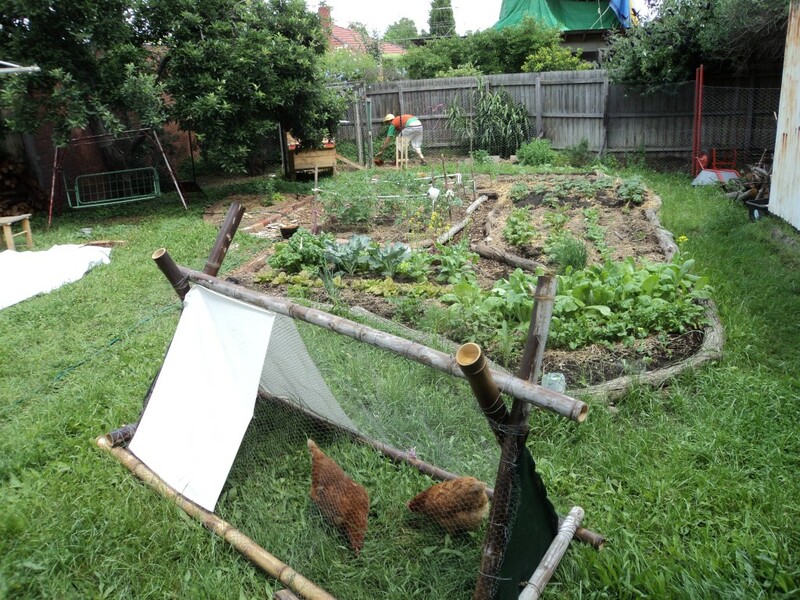 We’re also going to build a rabbit tractor (similar to our old chook tractor below) to move them around the grass as our lawn mowers. 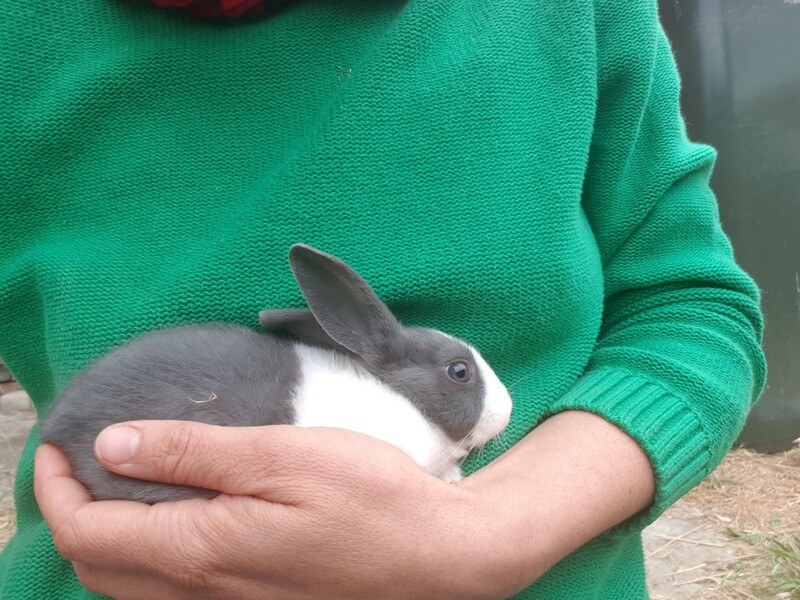 We have Dutch rabbits which will grow to up to around 2kgs. 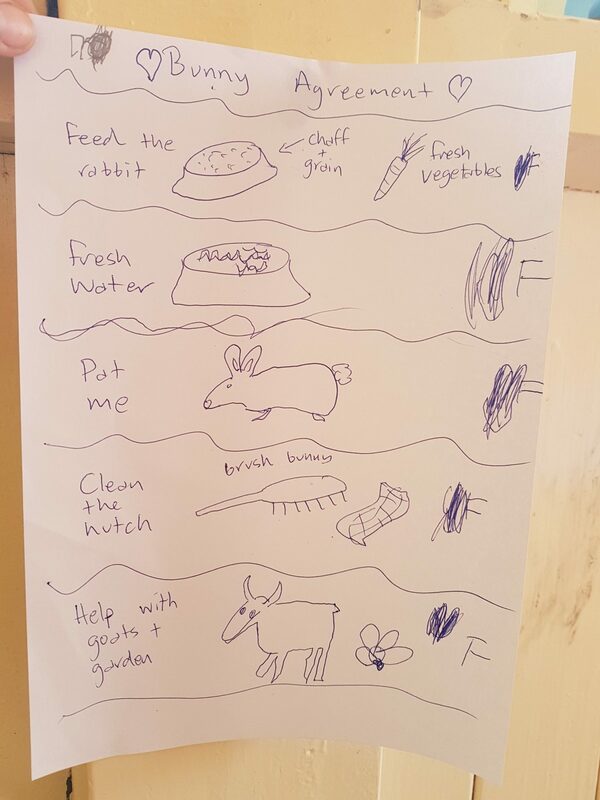 When I asked Frida what might happen if one day she doesn’t want rabbits anymore, she said “we’ll eat them”… Hmmmm, well see. Anyway, part of the arrangement is that Frida has to help with all the jobs. 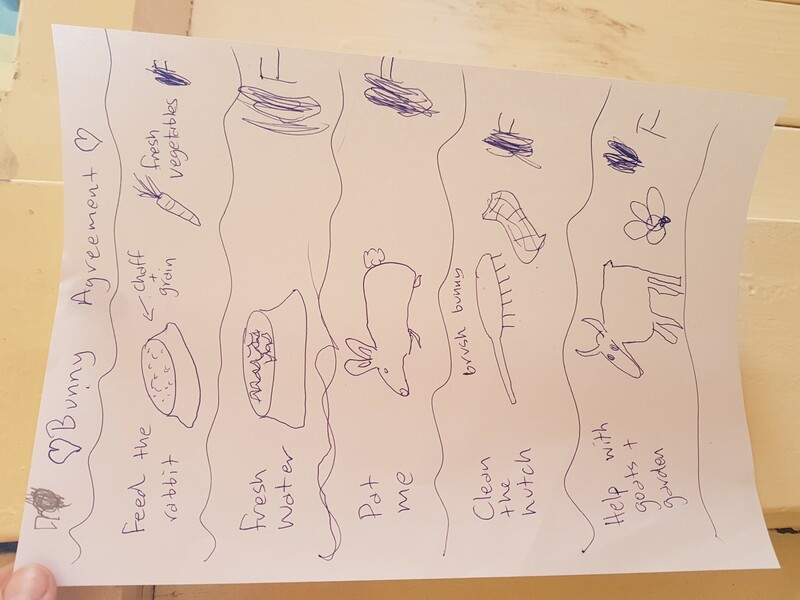 We drew/wrote up an agreement below which she signed her name against each job, promising to do each one daily. The “F” and love heart is her signature on the right. 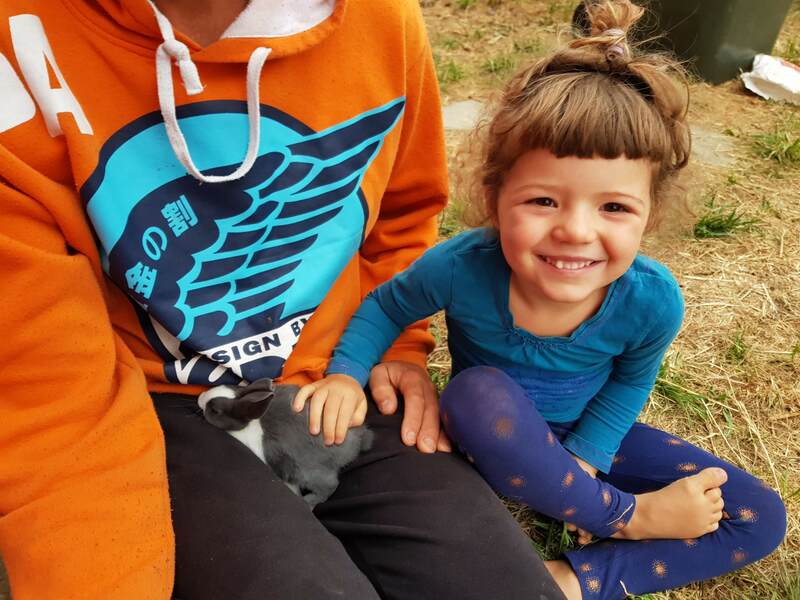 It turns out Anton and I are quite fond of little rabbits, here’s a few of the dozen photos I took with Sophie and us this morning….. While Sophie’s up for cuddles, Grace is a speedy, independent, not interested in cuddles type of rabbit. I admire her for that. Frida’s face says it all really. The love is real. Time will tell if she was telling the truth when she promised to do all the jobs she signed her name against on the “bunny agreement”. 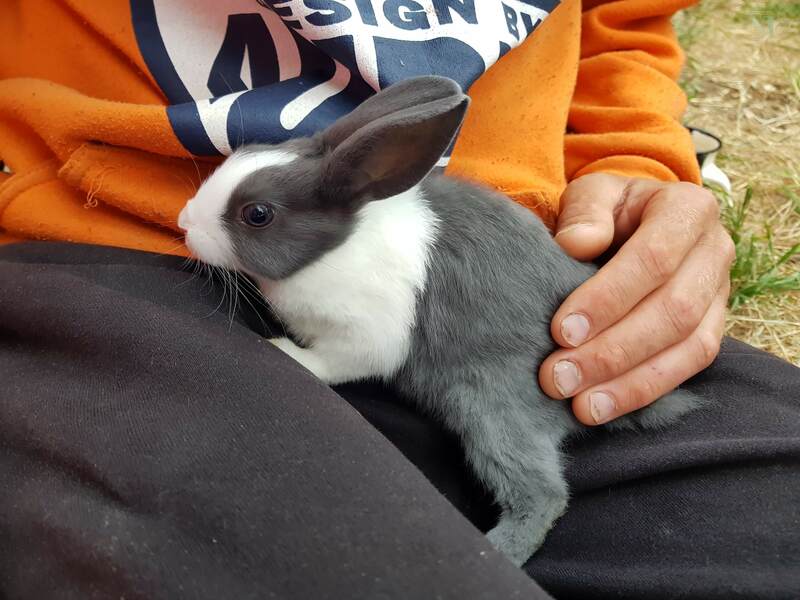 Regardless of that, we’re up for the challenge and willing to welcome these little fluff balls into our property where they’ll help mow the grass, teach our kid responsibility and care and provide cuddles to those that can catch them.